For the past 40 years, we've been creating custom sculptures, fountains, and mobiles for many thousands of customers, clients, and patrons. We LOVE doing what we do!!! 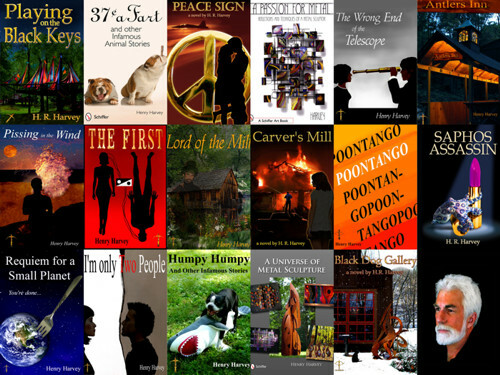 "Henry Harvey's delightful and scintillating writing style divulges secrets on everything from life as an artist to secret tools of the trade. Join Harvey as he teaches how he's created sculptures, abstract fountains, coffee tables, and mobiles." 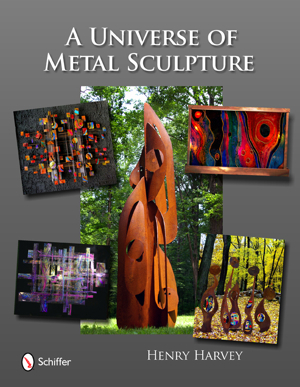 Buy A Universe of Metal Sculpture Now! Here you can browse our huge gallery of unique, hand made metal sculptures and select your favorite(s) for purchase. Simply click on a category below to view the metal sculptures in that group. Keep in mind that all sculptures are custom made to order, and we can easily accomodate variations on an existing design or even create a Custom Metal Sculpture Design for your exact needs and tastes. We can create just about anything you can imagine, so if you have a special design in mind click here for Custom Metal Sculpture Design information or email us for a quote!